Listen to songs of popular music genres like Bollywood, Regional, Devotional, English, Indie & Retro. 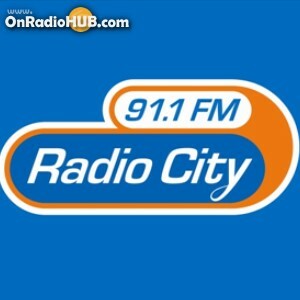 Play music, watch videos, view photos, read news, reviews & more.Radio City is India's first private FM radio station and was started on 3 July 2001. It broadcasts on 91.1 megahertz from Mumbai, Bengaluru, Lucknow and New Delhi. It plays Hindi, English and regional songs.